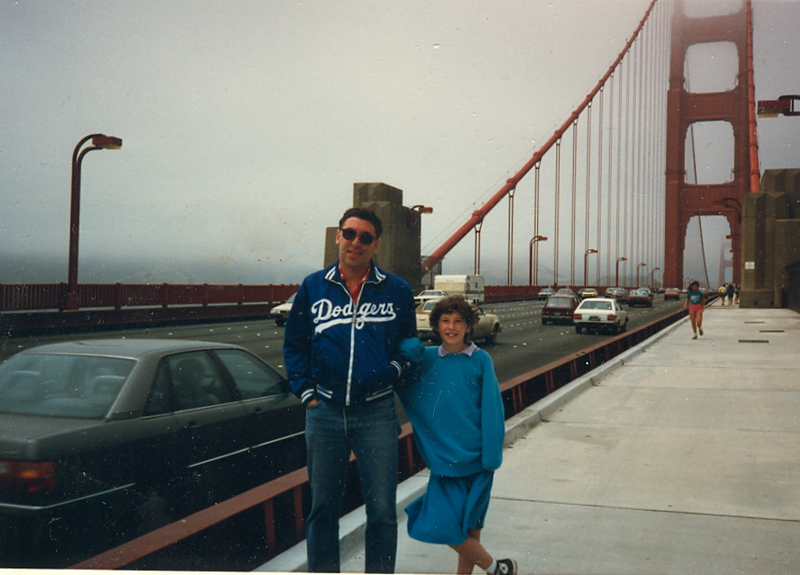 A photo of my younger daughter and myself on the Golden Gate Bridge. The bridge has three northbound lanes and three southbound lanes. Today, they quickly re-stripe the lanes to allow four lanes of southbound traffic in the morning and four lanes northbound traffic in the evening. Tolls are six dollars if you use the booth or five dollars if you use electronic tracking. Pedestrians and bicyclists can use the bridge for free. California's Bridges: Golden Gate Bridge in San Francisco Bay (5) by Mark Yashinsky is licensed under a Creative Commons Attribution-NonCommercial-NoDerivs 3.0 Unported License.